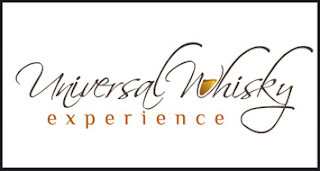 A couple of weekends ago now, I had the ridiculously indulgent pleasure of attending the Nth 2013 Ultimate Whisky Experience in Las Vegas. I detailed my experience of the first Nth in these pages as well, and did so then still in the thrall of having had the chance to partake of some ungodly expensive and high end whiskies. I came away from this year’s Experience feeling much the same way, but not exactly the same way. For me, the Nth 2013 Universal Whisky Experience was a lot like The Godfather Part II: slightly better than the first one (my first one, last year, which was amazing in its own right), even if it’s just plain hard to say that about sequels because the initial introduction to the characters and plot lines is so exhilarating, the second one faces a near insurmountable obstacle in trying to live up. But in this case, the sequel was just a little better, but the first one is still one of the better movies of all time. In other ways, though, both events were a lot like The Cannonball Run, a seemingly crazy pretense for assembling a cast of outrageous characters that actually works in the end (especially if you watch the outtakes at the end). All of those in attendance know what I mean by both of these comparisons. But for those of you who weren’t there, let me put it this way: the Nth is a place where much of the whisky world comes to put out its very best, perhaps even to the point of trying to one-up each other. 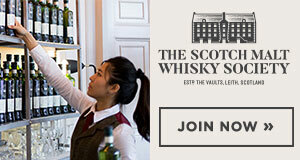 For the whisky geek and collector alike, this feature of the show is very attractive, if not intoxicating. The list of “super pours” is truly ridonkulous. 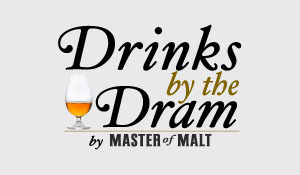 For the more thoughtful side of my whisky geek, however, that feature of the show is less important than is the amount of time you have at the show (3+ hours) and the quality of the whisky people present. My case in point on that front was my interaction with Ichiro Akuto, President of Venture Whisky Ltd., the folks behind Chichibu Distillery and Ichiro’s Malt. Marcin Miller from Number One Drinks Company (the importer in this case) was kind enough to introduce me to Mr. Akuto, famous to whisky enthusiasts as simply Ichiro. Mr. Akuto took the time to talk me and only me through the Chichibu the First as well as Ichiro’s Malt the Five of Diamonds. What an amazing treat! And another thing that helps make possible the time with whisky luminaries is the fact that it isn’t crazy crowded–or really that crowded at all–in the main event. There are plenty of people there, of course, and at times it feels like you have to wait a bit to get to a particular brand ambassador to chat. But if you simply come back a bit later rather than wait, it’s not that hard to find a time when that person is freed up. And that is luxurious in my book. Other highlights for me included the Glenmorangie Pride (modeled here by David Blackmore), the HP 30, Rosebank 21 and Talisker 25, Jura 30, Yamazaki 25, Hakushu Heavily Peated, the Bruichladdich 22, and some stellar single cask bottlings from Glenfiddich that Ian Millar was kind enough to pour for me. Master of Malt’s That Boutique-y Whisky Invergordon single grain whisky was also pretty wild and special. There were many others I had that were also great, but I won’t bore you with the whole list here. But I must note that I never made it to four or five different tables that I had really meant to visit, and that was just fine, even if a bit sad, because the quality time I spent at the other tables more than made up for what I might have missed. I spent a good bit of time hanging out with incredibly knowledgeable collector and connoisseur Matthew Lurin, both at the event and afterwards. Hanging out with people who know their stuff is a must at these events. It was also great seeing Tim Puett from the Ardbeg Project, as well as members of the Malt Maniacs and the PLOWED Society. Having fellow bloggers/whisky enthusiasts there, especially after first meeting them at other events, adds appreciably to the experience. Plus, Tim introduced me to Marcin Miller (who, as I noted above, then introduced me to Ichiro Akuto), and I’m terribly grateful for that. And I had the opportunity to catch up with a number of wonderful brand folks, from Gregor Cattanach from Diageo (pictured above) to former fellow blogger-turned-Global Brand Ambassador Sam Simmons to Yoshi Morita from Suntory to Ian Millar and Mitch Bechard from Glenfiddich to Scott Tallon with Bruichladdich to Richard Patterson and Chris Watt from Dalmore. And I was particularly pleased to be able to get our first ever interviewee, David King from Anchor Distilling (pictured just below), to pose in the Grouchos with me. My focus to this point has been on the main show. I’d be remiss, however, if I didn’t mention the seminars before the event and the master classes the next day. I attended great seminars last year and attended another great one this year. Due to jetlag issues and some overlap in seminars from last year, I skipped the first seminar time slot and showed up for one on Johnnie Walker’s unbelievable bottling created to celebrate the Queen of England’s Diamond Jubilee. The craftsmanship that goes into every aspect of that particular product is simply stunning. And it was a bit surreal to start my Nth 2013 experience by getting quite close to a $156,000 bottle of whisky and having a chance to nose the liquid from the 100ml bottle that comes with it (in its own crystal sampler bottle, of course). For master classes, I attended a tremendous Bruichladdich one and an eye-opening one on whiskies of the world led by Purple Valley Imports’ Jonathan Bray. Ironically enough, the latter was eye-opening in large part because it was a blind tasting. Go figure. But two bits of advice for those who intend to attend next year: 1) buy your tickets for master classes early, as some sell out very quickly; and 2) be aware that for many, it is quite difficult to get in there and do a good job of drinking through 6-8 whiskies in a master class after spending all night at the main show, especially if you’re not somewhat careful while you’re at the main show. OK, so that’s the rundown. As I noted last year, I think that despite its price tag, the event is well worth it. And given what you get for the price of the Connoisseur ticket, it’s arguably even cheap. But of course, the value of things (and money, for that matter) is at least somewhat relative, so don’t just take my word for it: do your research, make your judgments, as rational critters do. But as mind-blowing whisky experiences go, this is a really nice one. See more photos of whisky highlights below.